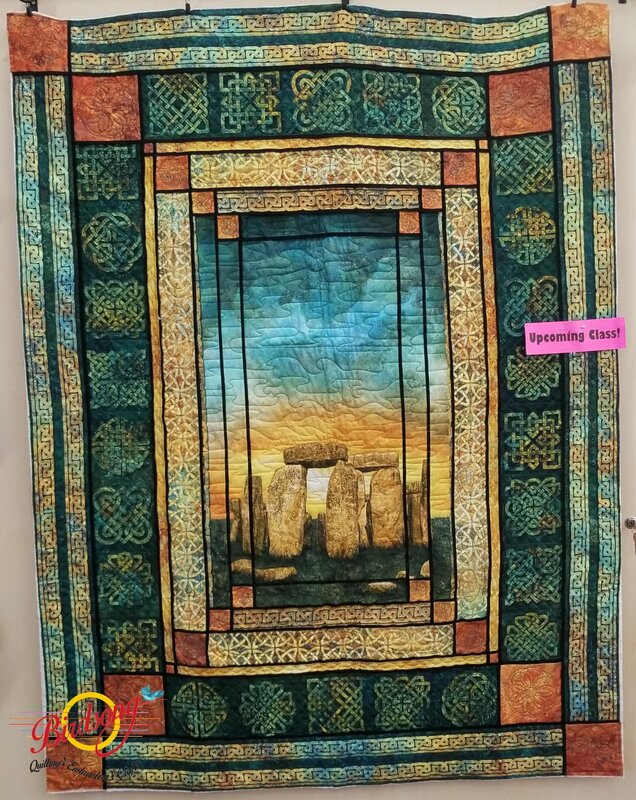 This pattern was designed by Sara Lister of Ladeebug Design and looks amazing with the Stonehenge panel and fabrics that we have paired it with although it can be made using any panel. For this reason we have not included the fabric in the cost of this class. Please pick up specific fabric requirements from the shop (or call) so that you will be prepared before class begins. This is a one day class and the technique you will learn is repeated often, this should enable you to be complete, or near complete, at the end of the day. Requirements: Please bring basic sewing supplies and the panel / fabric you have chosen for the project. You will need your sewing machine, if you would like to sew on one of ours please let us know in advance, we are happy to move one to the classroom for you. Also bring scissors, pins, a quilters ruler and thread to match your project.